Playing club soccer from the age of 10 has introduced Katherine Ballou to a large group of girls, all wanting to become the next Mia Hamm or Abby Wambach. But over the years, a number of them have quit the sport. Some have found mild success, and others have taken it to the next level. Ballou is the most recent to fall under the latter category and excel at the high school level. Playing club soccer locally from the age of 10 has introduced Katherine Ballou to a large group of girls, all wanting to become the next Mia Hamm or Abby Wambach. But over the years, a number of them have quit the sport. Some have found mild success, and others have taken it to the next level. 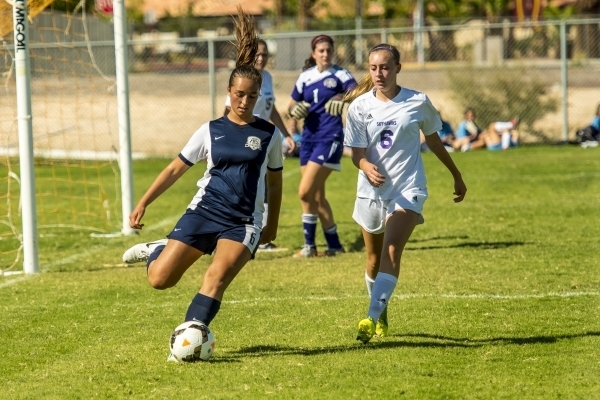 Ballou, a four-year varsity standout at Foothill, is the most recent to fall under the latter category and excel at the high school level. 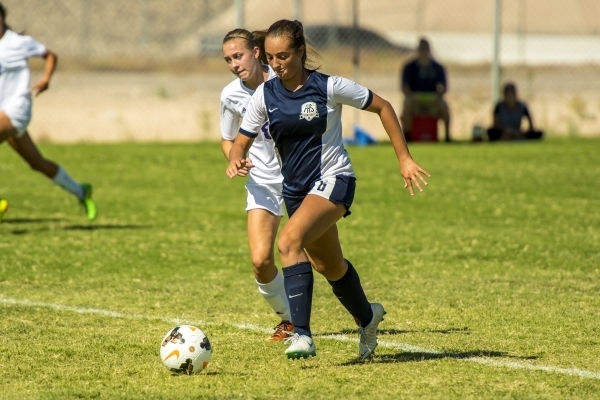 The senior forward has helped the Falcons to a 5-0 start this season and comfortably leads Southern Nevada in scoring with 14 goals and five assists. And there’s still a lot of soccer to be played. “I feel like I’m just representing my school better,” she said modestly. 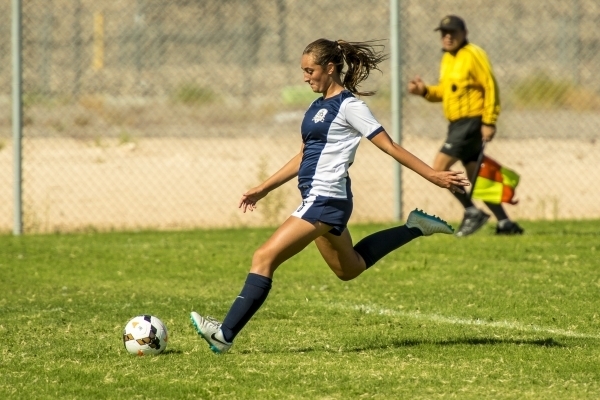 Ballou, a UNLV commit, isn’t the flashiest player on the soccer field and she’s certainly not the loudest, but her game speaks for itself. 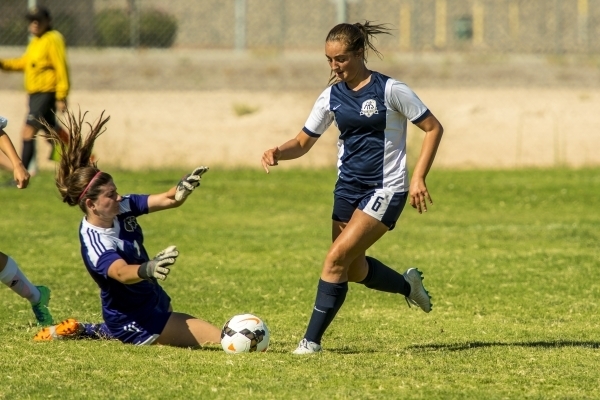 Ballou, an All-Southern Nevada performer a year ago, consistently has been one of the top players in the valley throughout her high school career. She’s finished in the top 10 in scoring the past two seasons and has shown her versatility by playing multiple positions. It’s just a part of her whatever-helps-the-team-win mentality. Guzman, who played soccer at Cal State Fullerton in 1996, said she sees a little bit of herself in Ballou and is proud to coach one of the state’s best players. After breaking a school record with 29 goals in 2013, and following with 25 in 2014, Ballou is on pace for another record-breaking season. But her main target is helping the Falcons claim their first region championship. As the team captain, she won’t rest until they get there. And like many times before, Ballou will come across a few of those girls she played club soccer with later in the season. She probably will score a goal or two.